Tito Muñoz named music director of Ensemble LPR | Will You Miss Me When I'm Gone? (Le) Poisson Rouge today announced the appointment of conductor Tito Muñoz to lead its bespoke house orchestra, Ensemble LPR. 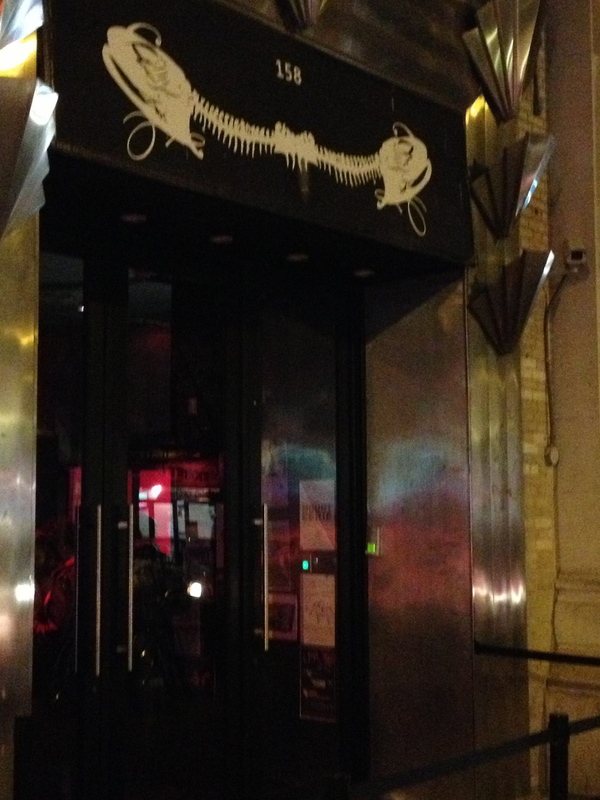 LPR is one of New York City’s leading music venues, featuring everything from rock and folk to classical. But from its inception, LPR has been a champion of modern classical music, or so-called New Music. Muñoz takes the baton just as the ensemble is preparing its final concert of 2012 as it accompanies British composer-performer Max Richter in the U.S. debut of his “Vivaldi Recomposed: The Four Seasons,” with violin soloist Daniel Hope. Two performance of “Vivaldi Recomposed” are scheduled at LPR next month. Click here for more details and tickets. The ensemble is now preparing plans for its first full season, to be presented late in 2013. The ensemble also announced this morning that pianist-conductor Orlando Alonso and Ronen Givony (LPR’s music director and founder of the Wordless Music Series) will be co-artistic directors of the ensemble. Tito Muñoz is increasingly recognized as one of the most gifted conductors of his generation. Recently appointed Music Director of the Opéra National de Lorraine and the Orchestre symphonique et lyrique de Nancy, he previously served a three year tenure as Assistant Conductor of The Cleveland Orchestra. Prior to that, he served as Assistant Conductor of the Cincinnati Symphony Orchestra and the Cincinnati Chamber Orchestra. An alumnus of the National Conducting Institute, Mr. Muñoz made his professional conducting debut in 2006 with the National Symphony Orchestra. That same year, he made his Cleveland Orchestra debut at the Blossom Music Festival at the invitation of David Zinman. The 2006-2007 season included a critically acclaimed subscription debut with the Cincinnati Symphony Orchestra, stepping in for an ailing Krzysztof Penderecki. He made his European debut with the Orchestre Lyrique de Région Avignon-Provence in fall of 2007. In recent seasons, Mr. Muñoz made a critically acclaimed subscription debut with The Cleveland Orchestra, a return subscription appearance with the Cincinnati Symphony, and debuts with the Atlanta, Houston, National, Indianapolis, Milwaukee, Detroit, Grand Rapids, Eugene, Princeton, and Hartford Symphonies and the Mexico City Philharmonic. Other recent and upcoming engagements include return performances with the Detroit, Pasadena and Toledo Symphonies, and the Brandenburgisches Staatsorchester Frankfurt, and subscription debuts with the symphony orchestras of Phoenix, Columbus, Alabama, San Antonio, and Kitchener-Waterloo as well as The Florida Orchestra. Debuts in Europe have included the Lausanne Chamber Orchestra and the Opéra de Rennes. Mr. Muñoz continues his relationship with The Cleveland Orchestra in collaborations with The Joffrey Ballet and Miami City Ballet, and most recently for subscription performances as a last-minute replacement for an ailing Pierre Boulez. 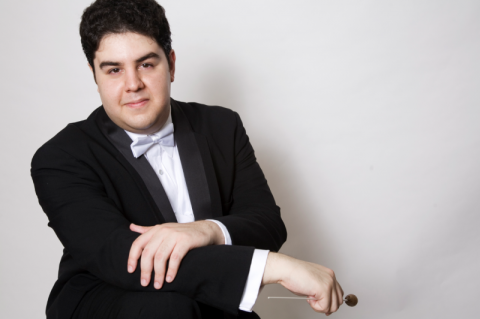 A native of New York City, Mr. Muñoz trained at Queens College (CUNY) as a violin student of Daniel Phillips and at the Aspen Music Festival as a conducting student of David Zinman. He attended the Juilliard School’s Music Advancement Program, Manhattan School of Music’s Precollege Division, and LaGuardia High School of the Performing Arts. He resides in Astoria, Queens. In 2008 Le Poisson Rouge changed the classical music landscape, creating a new environment in which to experience art music and in so doing expanded the classical music listenership and pushed the popular palette in all directions. The New York Times heralds LPR as a “forward-thinking venue that seeks to showcase disparate musical styles under one roof…artistically planned eclecticism” and “[t]he coolest place to hear contemporary music,” and the Los Angeles Times raved “[t]he place isn’t merely cool…the venue is a downright musical marvel.” With Ensemble LPR, the minds behind Le Poisson Rouge — co-founders and musicians David Handler and Justin Kantor — bring this same ethos to the creative forefront, bringing the same daring and merit to its own artistry. Mr. Alonso has performed with many of the major orchestras in Cuba as well as North and South America, including the Santa Clara Symphony, Havana Symphony, Key West Symphony, American Youth Symphony, OSB Orchestra of Rio de Janeiro, National Symphony Orchestra of Brazil, Madrid Symphony, Kiev Symphony Orchestra, Astoria Symphony, Manhattan Chamber Orchestra, George Enescu Symphony Orchestra in Rumania and Ossia Symphony Orchestra. Mr. Alonso has given recitals at Carnegie Hall in New York and has performed extensively throughout Europe, North and South America and China. Mr. Alonso studied conducting with Zdenek Macal at the Manhattan School of Music and has participated in master classes given by Kurt Masur. He is the founder and Artistic Director of the Ossia Symphony Orchestra in New York and the Artistic Director of the Ensemble LPR. Ronen Givony is the founder of Wordless Music, a concert series that pairs rock and electronic musicians with classical music performers, both in New York and select cities internationally. To date, the series has featured appearances from Sigur Rós, Andrew Bird, Deerhoof, Beirut, Four Tet, Explosisions in the Sky, Müm, The Books, Grizzly Bear, Brad Mehldau, Destroyer, Broadcast, Rhys Chatham, Do Make Say Think, and Stars of the Lid, along with the music of Perotin, Bach, Haydn, Debussy, Stravinsky, Messiaen, Ligeti, Steve Reich, John Adams, Arvo Pärt, Brian Eno, and Jonny Greenwood of Radiohead. The series was the recipient of the 2008 Village Voice Best of NYC Award for “Best Moderately Snooty Concert Series.” In addition to his concerts with Wordless Music, Ronen is one of the two Music Directors of the music venue Le Poisson Rouge in Greenwich Village, where he produces the club’s classical, electronic music, and indie rock programming. He is also a former employee and regular contributor of liner notes for Nonesuch Records. Ronen completed his BA and MA in English Literarture at Yale University and is a native of South Florida. This entry was posted in Concerts, Contemporary, Contemporary Classical, Music, News, Opera, Pop and Rock and tagged (Le) Poisson Rouge, Daniel Hope, Ensemble LPR, LPR, Max Richter, New Music, Ronen Givoney, Tito Muñoz, Vivaldi Recomposed: The Four Seasons, Wordless Music. Bookmark the permalink.